Well versed in Law of the land . Having complete grasp of geo political situation of the Land at the time . Having grasp of time zones ,directions and space . Fertile imagination , well versed in logic and adept at reasoning and logical inference . Uses his knowledge in accordance with treatise on astronomy and astrology . Such an astrologer will never fail in his words . Why so much of stringent qualities have been put on Astrologers ? Astrology is a complex shastra ! It has many variants in practise . Each Practitioner has his own interpretation of shastra and consequently a new theory ! In the overall run to master astrology , if these theories are not carefully filtered , astrology remains a fascinating jugglery in the realms of statistics and probability ! Lets look at variants . >To start with Astrology is science of Planets and its motion around earth and subsequently their impact on Human beings . counterview 1 : Planets and its motion around SUN . Implication : If Planets affect the humans then every object circling SUN should affect human beings so URANUS NEPTUNE and scores others should also affect human beings . so if a some effect is due to Neptune and if it is not mentioned in shastra that is because , astrology is still evolving and rishis of yesteryears were not adept in astronomy as much as NASA so they could not find Neptune etc and hence could only predict for NINE planets only . Now that NEPTUNE etc have been discovered , additional results have been attributed . HOW ? trial and error ! Objection : Suppose if few more planets that are not yet discovered , if discovered later will change astrology ! The result that I am facing may be due to some unknown Planet not yet discovered but still we are trying to fix it to existing planetary configuration ! Isn’t it unscientific ! Oh I think its hard to say which planet discovered /undiscovered is currently responsible for my miseries ! No one cannot say it with authority ! WHo knows there dozen other RAHu ketus in system ? By the PARASHARA did mention there are may ketus in the space . Oh ASTROLOGY is probabilistic science , its evolving ! Nothing can be said definitely ! counterview: Zodiac – BHACHAKRA is moving . Implication : Say sun moves in zodiac , lets say on Mar 21 xxxx Sun was at 00 Aries . So when Sun returns after one year on Mar 21 xxxx+1 . Is Sun at 0 deg Aries or Zodiac has moved ahead . so Which Zodiac should we consider moved one or previous one . 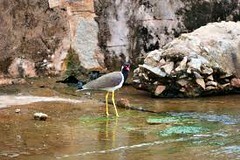 Counterview : Mar 21 occurs taking into consideration moved zodiac . so the current position of SUN is new year . No the position of planets should be calculated as per fixed zodiac . So correction be made . The above problem is classically known as AYANAMSA . As the fixed zodiac and moving zodiac meet or overlap with common start points , such a point can be taken in recent times to fix a ayanamsa . Unfortunately scores of astrological treatises exists giving various points of coincidences of Nirayana and SAYANA bhachakra . > Classic issue of Planetary motion : old treatises give Motion of Sun around zodiac in one year ie 360 deg revolution in 365 days 6 hours 9 min 12 seconds . The actual figures in para and apara truti [ milliseconds etc ]renders the calculation to leave a residual year after year , which English calendars add as LEAP year day . If we approximate Suns revolution time for a year to second , ignoring milliseconds etc , over 1000 of years , the exact position of sun will differ by few second min and hours and over few lakh years it may go off by days even . instead of one leap day we should perhaps add two . Based on this dictum many Beeja sanskaras have been suggested to arrive at accurate planetary positions . Some have resorted to NASA based data to calculate Planetary positions . Much before NASA came into existence were astrologers not calculating the planetary positions ? As there were no telescopes and space laboratories , how come the data of these astrologers given by rishis is so much nearer to the modern day speeds of the planets . So when a dispute arises out of such calculations , should we resort to age old wisdom or recent experimentation we keep ever changing in theories and data . Final does the acid test of accurate eclipse moment is achieved by any of the NASA or traditional or corrected calculations ,. Answer is NO ! Let me illustrate how these affect a human horoscopes ! sun mer venus in scorpio navamsa rendering malefic results . all the planetary position in navamsa has changed . Three astrologers with different concepts would give three different predictions ranging from good , mixed to bad results for a the same person . In some typical cases One astrologer may declare a subject to be MANGLIK and other as NON MANGLIK ! Which one is correct ! Can one believe any of them ! IS ASTROLOGY TRULY A DEFINITIVE SCIENCE ? Astrology is combination of bhava , rashi , graha . Here a classic confusion arises , when a person is born in LEO 10deg . 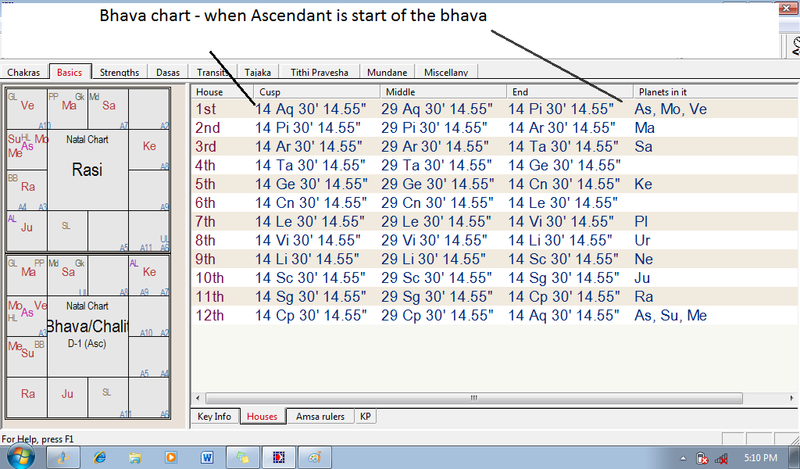 Does planet in 6 deg LEO belong to first bhava or twelfth bhava . that means IS BHAVA and rashi same or different ! Some people take BHava and rashi as one . ie IF 10 deg Leo is asc . The LEO is first house and Virgo is second house so on . yet some people think Bhava is 30 deg each and it starts from 10 deg LEO to 10 deg Virgo . so planets in 11 deg virgo onwards form second house , if any planet in 5 deg virgo it still is in first bhava . so bhava chart varies . So venus in virgo is debilitated but it should give result of venus in lagna debilitated or venus in second house debilitated . first one gives health hazards owing to women , second one gives financial liabilities owing to women . Yet some say , as sunrise is taken as visibility of suns half disc over horizon in the east .So 10deg LEO means bhava midpoint and bhava extends from 25deg cancer to 25 deg LEO . In this case planet in 26deg cancer happens to be in first house and virgo firmly becomes second house but any planet in 26 deg virgo will go to third house . jupiter from 11th to 10th . Confusion of Divisional chart ! 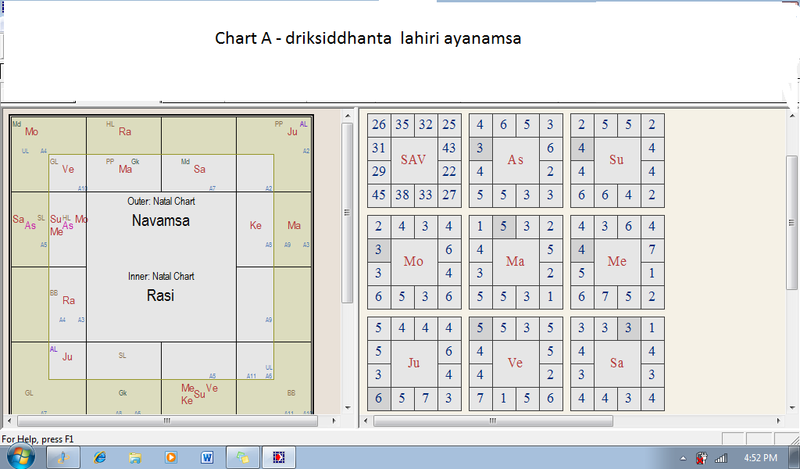 Parashara has given 16 divisions of rashi chart to be minutely studied to give accurate predictions . Whether divisional charts should be viewed or only varga signs be considered . For example when analysing jupiter in rashi chart , only its varga signs in other divisions should be considered . Should higher divisions be considered ? the chart in Rashi changes a degree every 4 minutes , with a change in degree there can be change in planetary positions in bhava chart . A chart in trimshamsha changes every 4 minutes only lagna changes . A shashtiamsha ascendant changes every two minutes . 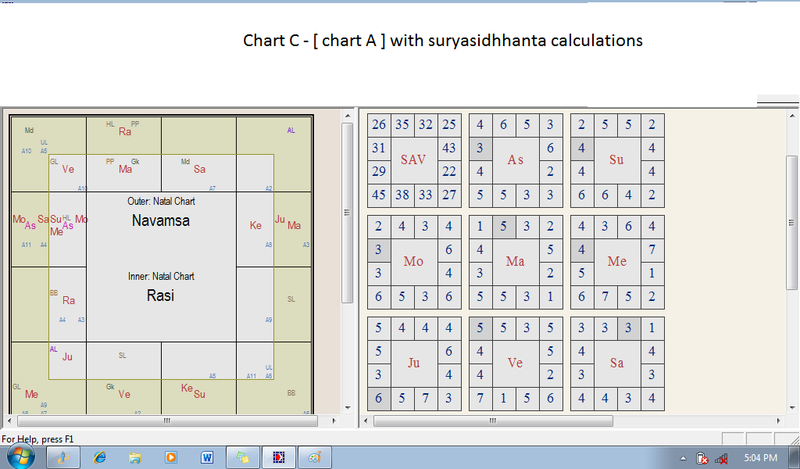 See Rashi chart , look at various divisions obtained for each of the planet and predict . here most of planets have fixed amsha positions except moon which changes its shashtiamsha position every 50 minutes ,and navamsha position every 6 hours . So Karkamshas in amshas are relatively constant even if birth time is erratic and can still give good results . View 2 : divisional charts should be seen and houses in the divisional charts must be weighed before giving predictions . But With a change in birth time by two minutes , a shashtiamsha chart will be thrown off gear with planets moving from 5th house to sixth house in the span of two minutes and thus rendering the planet useless and malefic . How confidently can we predict in such scenario . What is the guarantee that querist [ owner of horoscope ] is giving accurate time of birth . While this is good news for people who would be put off by just 12 signs and nine planets in astrology and say how can humanity be divided into 12 parts and predict . Here are 16 charts for a human being and this combination is unique for a birth every two minutes apart . But confusion arises as to what is the relative importance of these charts , are they weighted linearly or nonlinearly . But Parashara surprises even more . Here arises a confusion , if the scheme changes why is it that weights of the divisions changing . some say in saptavarga its actually dwadashamsa which gets 4.5weight and not navamsa . The problem is if a chart A has exalted planets in navamsha , its weight will tilt a planet favourable in shadvarga scheme , but becomes unfavourable in dashavarga scheme . So how can a planet be favorable and unfavourable at the same time . These schemes give results in dasha bhukti periods , so if an astrologer is considering only six charts , he may declare a planet good and healthy in a dasha whereas another astrologer choosing another scheme or perhaps going into depths of 1o charts may render the same dasha as useless . What is the secret behind the schemes ? Does that mean deeper insight into a horoscope may give lesser results than superficial analysis . 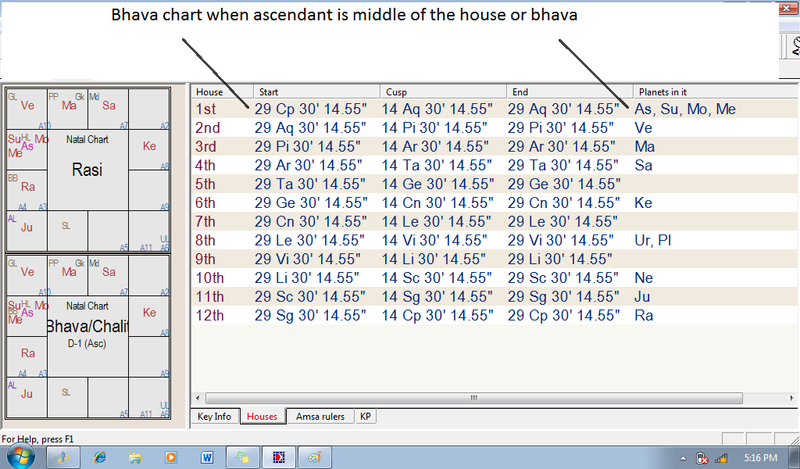 What about the predictions given only on RASHI CHART as usually all astrologers do , It will definitely go off the mark . SO what is right 16 charts , 10 charts or seven charts , or six charts or just 1 chart ? Should drishti be taken from sign or longitudes ? if signs are absolute then signs in seventh from a planet receives full aspects , if longitudes are taken then sign in eighth from a planet may also receive full aspect , then should we consider beneficence to eighth house ? with just a chart and no minute details of longitudes an astrologer will declare the planet in 8th as dangerous for longevity but longitudinal aspect will show increase in longevity ! Oh GOD what is right ? Is there a drishti in divisional chart ? 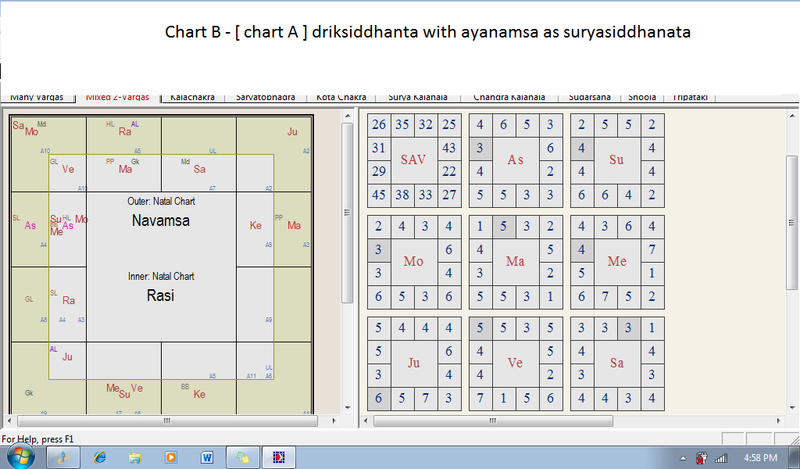 View 1: how can there be a aspect in divisional chart , there is only one zodiac and planets in zodiac cast aspects drishti via rays , if subdivisions chat is erected and if it is said to have aspects , then planet in Libra in amsha , and planet in Capricorn in Aries amsha , how can they aspect , how can rays of makara reach Libra navamsha .? View 2 : aspects are not a ray phenomenon , it is equally debatable that a planet in zodiac can see selectively 3 rd house 10 house etc , if rays are responsible then rays must reach equally at all signs . Aspects are special phenomenon and hence can be extended to even amshas . Karkamsha specially looks into planets in different signs and good and bad aspects also count . View 3: only rashi drishti should be seen in amshas . Confusion with IShta kashta phala ! ie the concept of NEECH BHANGA RAAJ YOGA does not exist as even if retrograde the planet in deep debilitation is still having 0 auspiciousness . This is against dictum so shubha rashmi should be average of uchha and chesta rashmi . But this formula does not ensure the upper limit of eight for S .
View 3 : why do we require ishta kashta ,? What are strenghths ? Why should we use shadbala when Vimsopaka is there ? when analysing strength of planet should we use shadbala or just vargottama and benefic aspects in navamsa and rashi is enough ? does planet in debiliatation with good shadbala give more miseries or gives happiness ? A malefic with strength does it trouble more or gives good results ? A malefic aspected by benefic of lesser shadbala will it overcome bad result or add to bad result ? When shadbala calculations itself takes care of aspects and associations of malefic benefics why additionally ishta kashta phala be multiplied in case of aspect of malefic and or benefic ? is it not repetitive exercise ? Should we include Lagna in sarvashtakavarga ? Should total be taken from longitudes of planets or bhava of rashi ? whether prastara ashtakvarga is contribution of benefic on rashi or benefic from rashi ? 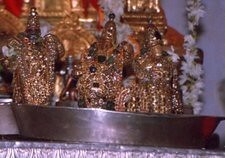 Is Gochara important or ashtakvarga ? why sade sati to my friend is not a s severe as mine though we both are same RASHI ? Will one get same results every 12 hours , 12 minutes 12 monthss and 12 years according to sudarshan dasa ? Lastly the mother of all confusions ! Which dasha should be used and what is the definition of year . Some say Vimshottari is best , some say kalachakra dasha is best . But varahamihira never mentioned about vimshottari he used pinda dasha . Pinda dasha makes sense as it is individualistic to horoscope . and results are due to ashtakvarga which is again chart specific . Do all the planets in divisional chart give results in dasha or antardasha ? Whether all dashas have to be applied ? how can I know I am getting miseries owing VIMSHOTTARI or Pinda or kalachakra ? Finally what is my dasha as of now ? Should I take 360 days dasha . then it is MOON dasha Mercury bhukti. Oh God which is correct ? As far as I know i was born on 15 oct , should I say my year begins and ends with 15 oct . But we usually see in shastras birthdays of saints as on panchami navami , krishna astami is done on rohini nakshatra in shravan , so i should use 360 thithis as one year . But then My birthday is never on 15 oct every year it changes every year . with 354 days a years , in 50 years I am off [ 365 –354 ] * 50 = 550 days , WHEW that is two years behind , means , i may say 50 but i am actually 48 .
so my dasha is off mark . moon traverses a 3 min arc in 5 minutes . 200arc minutes = 5 years maximum in venus dasha . 180 months / 200 = 9* 3 = 27 days . An astrologer should safely say that two months margin of error remains in timing of the events But he can never be accurate when all these confusions prevail in his mind . Ye MAN one can never be sure what is correct and what is not ? Its all intuition u see ! No scientific base ! Can you definitely say this result occurred due to jupiter in rashi in ninth house , or venus in tenth in dashamsa or perhaps , a exalted mars in chaturthamsa gave this result and why do you worry I said so it happened , See This astrologer can never fail ? GOD KNOWS WHAT IS ASTROLOGY ?????????????? note : Readers would You go to any astrologer after reading this !!!!!!!!! Planets are not just mass of elements in space that have extraneous influence on the humans and world affairs. These influence cannot be termed as a result of some gravitational or electromagnetic or other cosmic influence on each other and on the system as a whole. The popular methodology to seek scientific explanation for each and every phenomena around us does not apply to planetary system . The ways of God are systematic , Anything systematic and organized is scientific , but they need not be physically evident through some bizarre interaction of rays emanating from planets. Seeking such understandings and explanations would be erroneous. SO what are planets and how do they influence us? The plane in which we are living is Bhuloka . The plane above this is known as Antariksha Loka or Bhuvarloka .This Bhuvarloka is below Swarga loka and is full of Planets ,subplanets and stars . Some group of starts from Rasi . Thus entire Bhuvarloka is subdivided into 12 Rasis or Bhachakra . Above this Bhachakra are innumerable starts . The entire Bhuvarloka is Supported by Lord Narayana in the form Shimshumara .The various limbs of this lord are various stars ,Rasi and Planets. This is half human and half scorpion body. The tail of the scorpion is towards the Swarga and Head is atop the MERU. The tail edge consistes of Dhruva the \pole star. It is the Dhruva through which the entire Bhuvarloka and bhachakra are bound alongwith the planets. The Planets are governed by the Devatas by Name Sun ,moon etc. These have normal bodies as well as Astral bodies. How can a devata control a planetary mass? If we look at our body , we find that it has many parts , toes,fingers ,thighs ,abdomen , chest, neck ,head ,eyes etc. Each is placed at a distance from each other . It is all controlled by one souls who is residing in the heart . How can one small soul control such a huge body ? . WHy is it that if a small ant bites the toe and we get a sensation. The medical experts may say , it is the nervous system that gives the pleasure and pain to the soul residing in the heart. Thus it is the connection that exists between a body and a soul that makes it work and experience. Body is not Soul. This connection is by the grace of GOD . It exists by his will and it is destroyed by his will. When this connection ceases , soul leaves the body , wesay body is dead. # Thus the body is immaterial ,it is the connection that God establishes makes it as a body of a soul. [Soul is not present in the every part of the body yet it controls ]. Now This connection can exist even between a soul and a mass. Just as a human body can respond to the stimulus or desires of a soul , so can a mass of planetary body can respond to a the soul incharge ,if the Connection described earlier exists the soul can even control the entire mass of the planet. Also by the Will of the GOD , a soul can acquire multiple bodies if God extends multiple connections. Thus the Devata named Surya has a body of his own ,which is akin to us but illustrious of light [ tejomaya] ,He also has a control over Suryamandal , Surya Rashmi and Surya tatva.The God within Surya makes this possible . Just as we get up in the morning and go about our daily chores , so does Surya with his astral body .But our chores and its effect are limited to our family and surrounding and society in which we live and have influence, Sun has a the whole world under its influence. So does other planets. These are the planets that are destined to affect human life and world in general. Other erroneuous bodies like pluto, neptune etc do not have Divine sanction to affect human life. If we think that planetary mass as a scientific phenomena affects us and just because pluto and etc also exist alongwith them and should affect us extending the principles of planetary interaction , this would be folly and the whole Jyotish would become indeterminate . How do these planets influence us? These are well established by God in the Vedanga and thus are orders of Lord to Planets to act accordingly as per their positions. Planets do not default on this . Thus runs the great cosmic Clock in the bhuvarloka. God never breaks the rules established by him as he is SatyaSankalpa . Both statements being right the world witnesses a dynamic display of auspicious qualities of GOD in upholding the righteousness even under anomalies. A planet has strength and placement by which its effects can be known. if a planet is strong and placed well in exaltation, own house, it is in a state of awakening , people realize their fruits of success practically and enjoy fame . if such a planet is ordinarily placed , one will get good effects only in the state of dream. he will not enjoy fame in an awakening state. if such a planet is debilitated or in enemy house then ,when good factors are revolving a man would be sleeping to take advantage of them , success passes by without having enjoyed. when a planet is exalted in 6 ,8,12 then even if effect exists, the person will not be able to enjoy it . like full wealth but completely diseased body to enjoy.A prosperous and famous son ,who does not visit the parents house, or a beautiful wife not on speaking terms . however a weak a planet be, if placed well, gives complete satisfaction of enjoyments (however little or short lived that may be) An ordinary but obedient son, a minister of a small prosperous state. a clerk having sole charge of entire office ,etc. Even for a very successful person ,everyday will not be an eventful one ,this is because of rotation of planets through various states causing happiness and miseries to the people on the earth.